Siri was one of the last projects Steve Jobs was heavily involved with at Apple as his health worsened. However, the intelligent voice assistant’s origins trace back to a 1980s Apple R&D initiative that took place after Jobs left the company. The video, set with remarkable prescience in September 2011, lays out a series of possible uses for a smart assistant. In one, a university professor uses an iPad-like device featuring an on-screen AI assistant, depicted as a bowtie-wearing butler. “Today you have a faculty lunch at 12 o’clock; you need to take Cathy to the airport by 2 p.m.; you have a lecture at 4.15 p.m. on deforestation in the Amazon rainforest,” the prototype Siri tells the professor. At the time, the technology was nowhere near ready for prime-time. It would stay that way until 2003, when U.S. military think tank The Defense Advanced Research Projects Agency began working on an AI assistant project. DARPA dreamed of a smart system that would help military commanders deal with the overwhelming amount of data they received on a daily basis. To bring this system to life, DARPA approached SRI International about creating a five-year, 500-person investigation. At the time, it was the largest AI project in history. After a half-decade of research, SRI International decided to spin off a startup called “Siri” (a phonetic version of the company’s name). Siri launched in the App Store in early 2010, connected to a variety of web services. It could order taxis through TaxiMagic and pull concert data from StubHub, movie reviews from Rotten Tomatoes or restaurant data from Yelp. 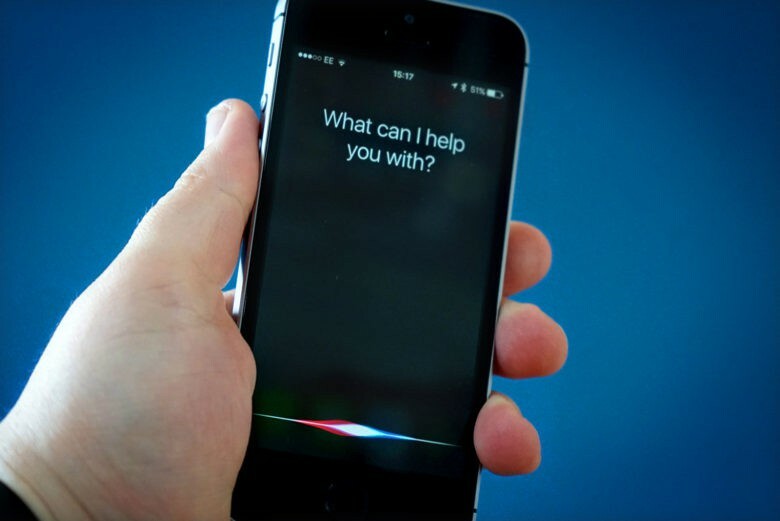 Apple acquired Siri in April 2010 for an amount reported to be in the vicinity of $200 million. The company immediately started working out how to bake Siri into the iPhone, although Jobs got hands-on about making the AI assistant user-friendly. In some cases this meant new abilities, such as spoken-word responses (which the original Siri app did not have). Siri also could pull data from other Apple apps. In other cases, it meant dumbing down the service, as seen by the inability to remove written requests from the user in favor of voice control only. Apple considered Siri’s debut on the iPhone 4s a big deal. Siri’s ability to field natural-language questions like “What is the weather today?” or “Find me a great Greek restaurant in Palo Alto” with accurate spoken responses was way ahead of what other companies like Google offered at the time. Today, deep-learning technology and other innovations make Siri far more accurate and functional than the version that shipped with the iPhone 4s. Siri’s arrival on the iPad, Mac and other Apple devices shows how much emphasis Apple places on AI. Siri has become less of a gimmick in the process. The primary form factor for these assistants has also moved from our phones to smart speakers like the Amazon Echo and Apple HomePod. Do you use Siri today? How do you think it stacks up against rival services from companies like Google and Microsoft? Leave your comments below.